Last Friday we had the big Base 18 re-launch to celebrate the fantastic work that 11 young people of Prince’s Trust programme have done in partnership with Base 18’s staff and student social workers. 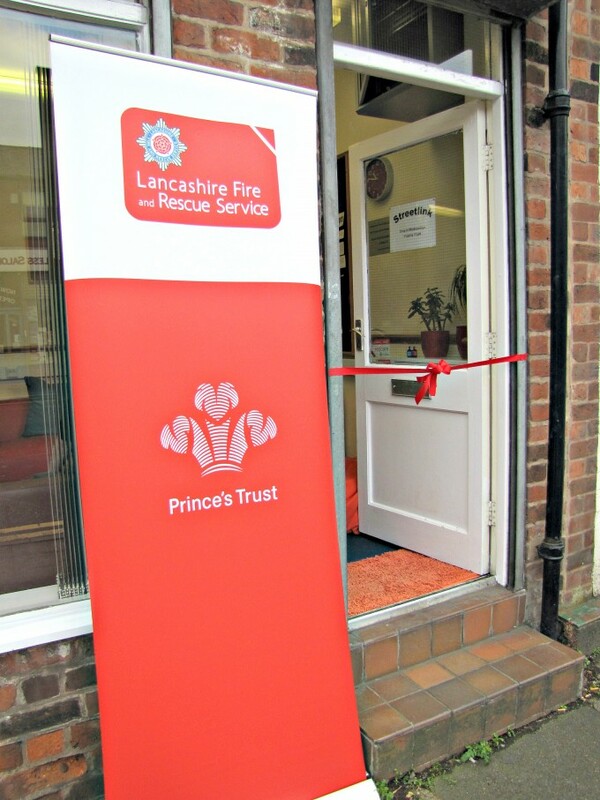 The Prince’s Trust team in Preston, run by Lancashire Fire and Rescue Service is a 12-week programme to help young people gain new skills and confidence. Team 60 is the most recent group of young people taking part in the programme. Team 60 consists of 11 young people, who get involved in a variety of voluntary projects in order to help the community and develop their own skills. The young people of Team 60 are guided by the team leader Helen Stanley, programme support worker Nafees Shaikh, student social worker Emma Yeo and a couple more supporting workers. Princes Trust team alongside Base 18’s staff and student social workers. During weeks 3-6 of their programme, Team 60 immersed themselves in Base 18 renovation project. The team not only received donations from businesses, but also raised money in order to get supplies they needed to decorate the Base 18 building. The project was started earlier this month, after Prince’s Trust answered Base 18’s appeal to help redecorate the building. After detailed discussions and plans, both Team 60 and team Base 18 agreed on different tasks and roles everyone was going to take up. The young people of Team 60 were well prepared – they brought sheets with Base 18’s building maps, as well as measuring tapes and started sharing ideas on what could be done to renew the building and make it cosier and more welcoming. Team 60 was working Mondays through to Thursdays for two weeks, and in this short time they have achieved a stunning result: the building looks very professionally decorated, much brighter and more comfortable. Team 60 members were very professional, hard working, creative, and showed a great commitment to their task. 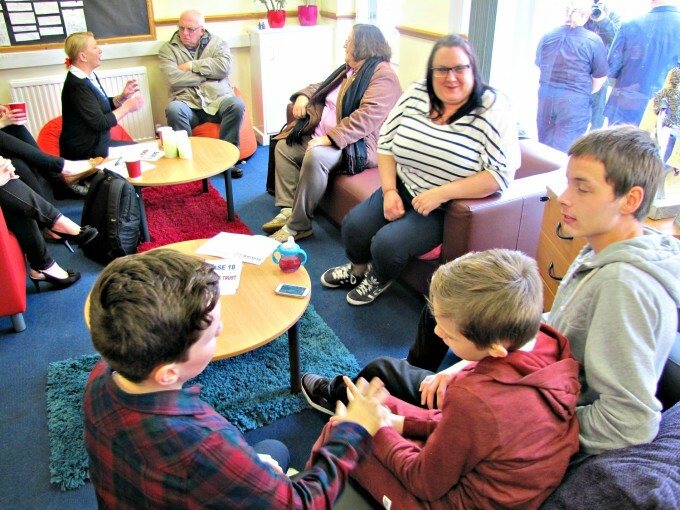 During the process, young people got to know Base 18’s service users better, which was beneficial to both the service users and the young people. They were curious to get to know the womens’ life stories, and found similarities such as anxiety problems. Base 18 was buzzing with people. 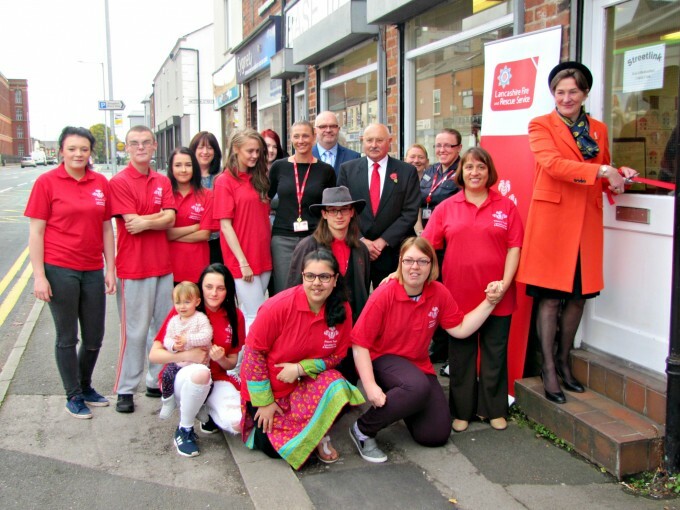 A special ‘thanks’ goes to Helen Stanley – Prince’s Trust Preston team leader. She did a brilliant job managing the project, as well as encouraging and working alongside the young people. According to Base 18’s student social worker Jo: “she makes everything look effortless. We say a huge ‘thanks’ to the young people of Team 60 and wish the all the best with the rest of their 12-week project. Team 60’s project finishing award ceremony is going to take place at Preston North End on 11th December. Working with Prince’s Trust team was a real joy.